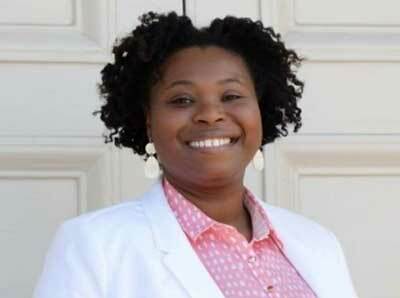 In the 11 years since she became a North Carolina teacher, Fayetteville’s Tamika Walker Kelly has seen more than a few changes in the state’s public schools. In 2009, she watched North Carolina, then under the control of a Democratic General Assembly and governor, push sweeping cuts and pay freezes in the midst of an economic recession. And she’s seen a new legislative majority—seized by Republicans in 2010—sidestep major teacher raises while jettisoning teaching assistants, local discretionary funds, scrapping tenure and bypassing funding for textbooks and classroom supplies, even as the economy recovered. All the while, lawmakers pumped millions into blossoming school choice initiatives and billions into broad state tax cuts for businesses and individuals. But perhaps the most alarming change, according to Kelly, is the change in how educators and public school systems are viewed by some of North Carolina’s most powerful political leaders. Teachers and school leaders are viewed with greater skepticism, she says, and public school systems find themselves locked into sometimes bitter political battles over issues like class size funding, school infrastructure and local spending flexibility. To school leaders like Kelly, who’s also a sitting board member for the N.C. Association of Educators , it’s not just one of these issues that’s driving more than 10,000 educators to swarm the state capitol on May 16, a trip teachers tend to speak of more like a pilgrimage than a protest. It’s an accumulation of grievances: Teachers spend out of their pockets to provide for their classrooms. Teachers work long, stressful hours for pay that badly lags similarly educated peers . Some teachers work multiple jobs and, in the classroom, often act as de facto guidance counselors, social workers and nurses — positions that many local school systems don’t have the dollars to fund. And they do it all, teachers argue, with a sense of hostility from some political leaders who suggest they’ve failed their students, particularly those in poor schools that tend to trail their peers in the classroom. Each of these reasons, they say, is driving them to Raleigh next week, where organizers say the final tally of educators may reach as high as 15,000 for a march and rally near the legislature as lawmakers return for their “short” session. It’s no coincidence North Carolina’s protests follow mammoth teacher walkouts in generally conservative states like Kentucky, Oklahoma and Arizona — states that, like North Carolina, have seen public school funding plummet since the recession . Weeks ago, in anticipation of next week’s Raleigh gathering, North Carolina teachers began filing requests for “personal leave,” a leave designation that, provided a substitute can be found, would require them to forfeit $50 from their paychecks. Despite the hurdles, thousands filed their paperwork, first in the state’s larger, urban areas, and eventually in more rural districts too. In some cases, school systems and buildings faced a massive loss of personnel that left them scrambling to find substitutes. As of Wednesday afternoon, 17 North Carolina school systems opted to close instead. 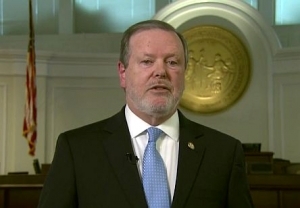 National media outlets have taken notice, and so have North Carolina politicians. Some state leaders say they’re interested in hearing teachers’ points . Others worry the rally will harm students in the classroom . And some suggest the classroom exodus may run afoul of the state’s generally anti-union labor laws . Whatever the outside points of view, Kelly, like many of the teachers who spoke to Policy Watch in recent days, says next week’s rally is more than a single moment. They hope their march on Raleigh will create lasting change in Raleigh. Because it has to, Kelly says. When New Hanover County Schools, a district of about 26,000 students near Wilmington, announced plans  Wednesday to hold an optional teacher workday on May 16, it became the latest district to close, many of them located in or around the state’s population centers in the Triangle and Charlotte. On social media, some public school advocates reacted with glee to the news. “15 down. 100 to go,” wrote one on Facebook. And with teachers still submitting leave requests by the dozens, more counties may soon follow. In the meantime, public school advocates say they’re preparing for an unprecedented gathering of educators in Raleigh. Mark Jewell, a Guilford County teacher and sitting president of the NCAE, says he was “hopeful” for these kinds of numbers when the organization began planning an event to coincide with lawmakers’ return, an event that would be inspired as much by actions outside the state as in the state. “When we started thinking about this in the cold, early morning of February, when we knew the General Assembly was coming back, we were watching West Virginia,” says Jewell. Jewell was referring to a nearly two-week strike in the generally Republican-dominated state this year. More than 35,000 West Virginia teachers walked out of classrooms for better pay, closing schools across the state. Their protest ended in early March when the state’s GOP governor signed a deal that delivered five percent teacher raises, but the nationally-covered protest has since inspired similar activism in states like Oklahoma, Arizona and now, North Carolina. Jewell is a West Virginia native, so the clamor in his home state resonated especially with him. Today, Jewell says North Carolina’s fight is about more than teacher pay. Lawmakers approved modest raises in recent years, lifting the state’s national teacher pay ranking from near the bottom of the nation to an estimated 37th in 2018, according to a nonpartisan national report this year. Yet, when adjusted for inflation, teacher pay in North Carolina is down more than nine percent since 2009, more than twice the average decline nationwide. And, when compared to other college graduates, North Carolina teachers earn just 67 percent of their peers’ pay , an expert told state policymakers this year. Meanwhile, state approved teacher raises skipped North Carolina’s most experienced educators, all while health premiums skyrocketed . Overall K-12 funding has taken a beating in North Carolina since the recession too. A nonpartisan report last year  found total North Carolina funding per student was down more than 12 percent from 2008 through 2015, one of the largest drops in the nation. All of teachers’ longstanding complaints will be fair game when educators arrive in Raleigh next week. And Jewell says the president of West Virginia’s teacher association , Dale Lee, will join in a show of solidarity. They plan to march from the NCAE’s downtown Raleigh headquarters to the legislature, followed by a rally near the Legislative Building on Jones Street. State lawmakers have had notably divergent reactions to the long-brewing protest. Democrats, who often have the backing of NCAE leaders in state elections, have been outspoken in support. But Republicans, meanwhile, have been more reluctant to engage. N.C. 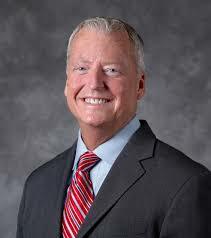 Superintendent of Public Instruction Mark Johnson, a Republican elected in 2016, reportedly plans to skip the protest, adding that he hoped more schools would not close. 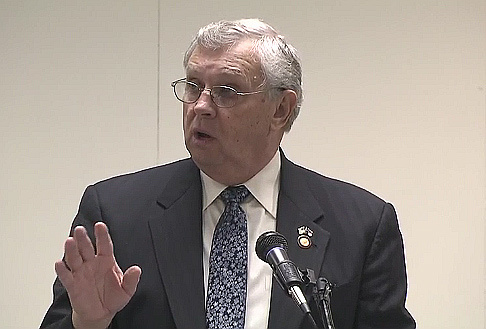 Rep. Craig Horn, an influential Union County Republican who co-chairs the education appropriations committee in the state House, told Policy Watch last month that he’s “looking forward” to the march, although he defended the legislature’s record on public education. Meanwhile, Senate President Pro Tem Phil Berger, a Rockingham County Republican who’s one of the most powerful policymakers in the state, implied this week that teachers’ organized protest may be counter to the spirit, if not the letter, of North Carolina labor laws. Jewell countered this week that teachers aren’t breaking any state labor laws, adding that educators believe lawmakers like Berger are “breaking their commitment” to the state’s 1.5 million schoolchildren. 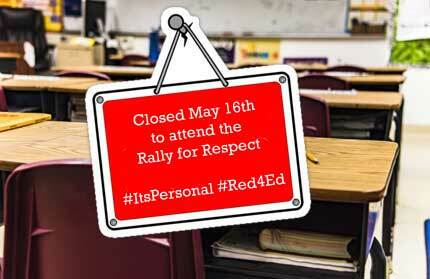 Yet while the rally has certainly galvanized educators across North Carolina’s largest cities, the reaction has been somewhat muted among charter schools, although leaders at Durham’s Central Park School for Children , a self-described “progressive” charter, say they will close May 16 as a tribute to the rally. Charters are publicly-funded schools that are allowed greater flexibility over staffing, curriculum and calendar. Their rise since the state’s charter cap was lifted—from 100 in 2011 to more than 170 today—has been a source of tension, partially because it’s placed greater financial strain on traditional school districts, a Duke University study found last year . Rhonda Dillingham, executive director of the N.C. Association for Public Charter Schools, couldn’t be reached for an interview this week. 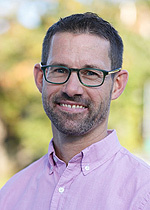 But John Heffernan, director of Central Park School for Children, said the leadership in his school is “definitely in union” with teachers protesting next week. Heffernan added that he’s not sure why charters aren’t more involved in the NCAE advocacy, but he points to “an unhealthy narrative where we’re in competition” with traditional schools for money and resources, rather than working in collaboration. The response to next week’s advocacy day has also been slower in North Carolina’s poorer and more rural districts, areas in which advocates say legislative cuts are arguably most harmful because the local tax base can’t make up the shortfall. Numbers distributed by teacher advocates in recent days show a great deal of interest in areas like Charlotte, Greensboro, Asheville and the Triangle, but more modest counts in smaller districts. That’s partially because smaller districts sometimes lack the kind of highly-organized and connected teacher groups that led the push for teacher action in cities like Durham, one of the state’s most progressive cities. But it’s also because of culture, leaders say. “Our rural teachers are often left behind in these conversations,” says Kelly. Meanwhile, the reaction from school districts has been mostly positive, school leaders say, aside from a smattering of “disappointing” reactions from local school administrators, according to Jewell. Jewell didn’t elaborate on those exceptions, but this week, Ron Payne, a Forsyth County attorney told Policy Watch he’s spoken to multiple teachers who say they believe principals discouraged them from requesting a “personal day” to attend. “If you’re running into this, it shouldn’t be this way,” said Payne, who declined to name the school systems involved. And in Alamance County, local school board member Patsy Simpson has been openly critical of school leaders who would deter teachers from getting involved in the May 16 advocacy. Simpson says she’s spoken with Alamance teachers who’ve told her of a culture of “hostility” in some schools toward protesters. She said she knows teachers who withdrew their leave requests after principals, who she didn’t name, discouraged them. After bringing up those complaints, Simpson said district leaders advised principals against dissuading teachers in such a fashion. At a school board meeting this week, Simpson read a letter aloud that espoused the benefits of participation, particularly drawing attention to Alamance County’s well-documented facility needs , which may be partially addressed by a $150 million local bond referendum this year. That’s just a fraction of an estimated $8 billion of school infrastructure needs in North Carolina, and state lawmakers are under pressure this year  to place a $1.9 billion statewide bond referendum for schools on the ballot this fall, although the state Senate, under Berger’s leadership, has been reluctant to take up the bond. North Carolina hasn’t approved a statewide school bond referendum since 1996. School infrastructure is historically funded by local government, while state government is charged with financing school operations. However, school system leaders say operations shortfalls in recent years forced districts to funnel billions every year into day-to-day business, putting off school construction and maintenance in the process. Despite the tension between teachers and administrators over next week’s protest, Simpson said the advocacy in Raleigh should be a boon for all parties. Moving forward, Jewell says he believes all public school advocates will begin holding state leaders accountable for their policies, and not just on May 16th.